Munich - The Bundesliga has its fair share of fraternal rivalries, from the Bender twins to the Boateng brothers. 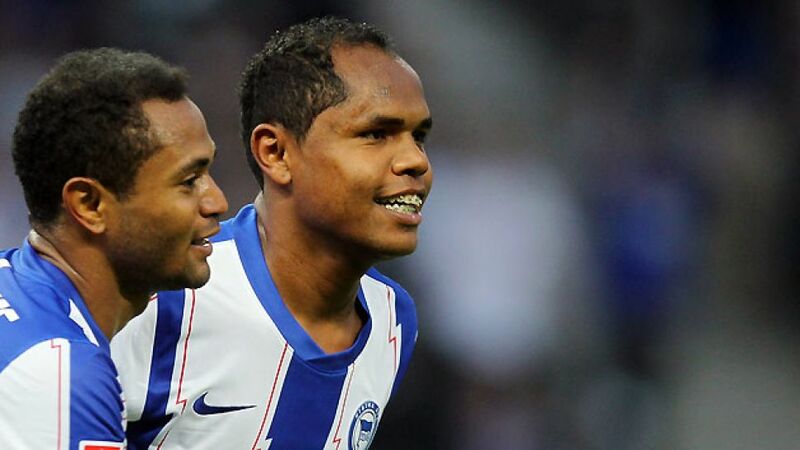 Yet perhaps no sporting siblings share as interesting a tale as the two Brazilians Raffael and Ronny. “There would always be sparks flying when they were children, they always wanted to be on different teams,” recalls their father about his sons’ footballing beginnings. They now have their wish: Ronny and Raffael will be on opposite sides for the first time in their professional careers when Hertha Berlin host Borussia Mönchengladbach on Matchday 9. “I’m not only going to play against my brother,” said Raffael, who joined Gladbach this summer, “but I’m also going back to where I probably had my best time as a professional.” The attacking midfielder with a deadly eye for goal moved from FC Zurich to Germany’s capital in 2007 and made 110 appearances for die Alte Dame, scoring 23 goals. This, however, will be the first time he plays against his brother in the Bundesliga. Ronny, a year younger than his brother, played for Sporting Clube de Portugal between 2005 and 2010, before joining his older brother in Germany's capital for the start of the 2010/11 campaign. Although Hertha were promoted that season, it wasn’t all plain sailing for him. He played 22 times, but only scored twice. His situation hardly improved the following season as Hertha were relegated, but, strangely enough, it was his brother’s departure for Dynamo Kyiv in the summer of 2012 that began to open doors for him. It has been under Luhukay, formerly the coach of this week’s opponents Gladbach, that Ronny has established himself as an invaluable member of the Berliners’ squad. He was joint-top scorer in Bundesliga 2 last season with 18 goals, with a further 11 assists helping to fire the club to the second-tier title. This term he has also contributed with an assist and three goals, including this rocket of a free-kick against Hannover on Matchday 8. “It’s unbelievable what sort of fireworks he can produce,” said Raffael of his brother’s ferocious left foot.